Yes, two Style Arc ‘Annika’ tops. Both combine woven and knit fabrics. 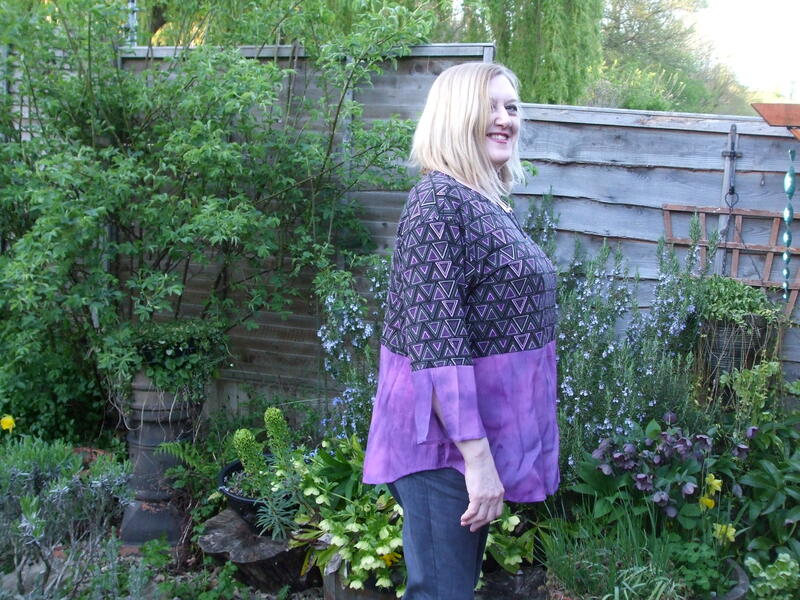 The purple knit remnant was from stash, the red is leftover from the V1405 dress I have ready to sew. The tie dye-look crepey woven stuff was from the bargain table at Barry’s, so must have been either £1 or £2/metre. I got 1m of each, but can’t remember the price! 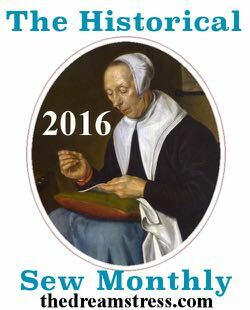 These are almost completely constructed on the overlocker, very straightforward. The ‘trickiest’ bit was the split cuff, but although the written instructions lack detail [as usual with Style Arc] the diagram made it clear enough. I decided to hand finish the hems, as the fabric is very light and drapey, and I don’t like machined hems on lightweight stuff. 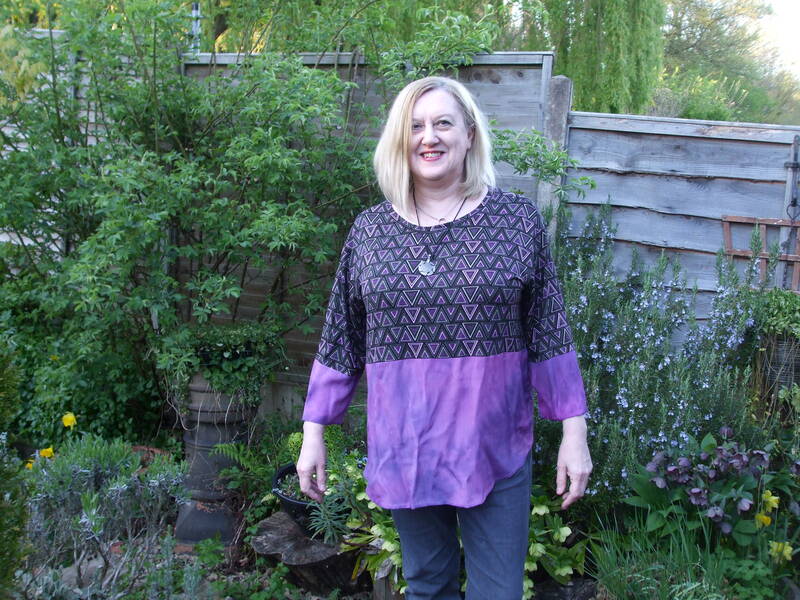 All as well drafted as Style Arc designs always are, and with the easy fit I expected- however, I decided that the fit is slightly TOO easy, and may put two little pleats/tucks under the bust to give a tiny bit of shaping, avoiding the smock look. What do you think? Leave it alone, or put in tucks? 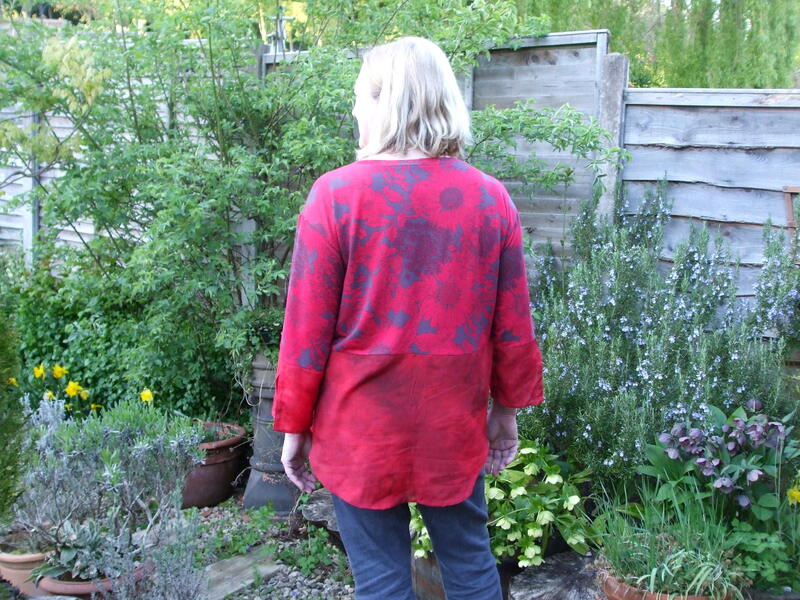 I really like this design, it’s a nice take on a boring T shirt, and you can cut it out of very small scraps. I think there will be quite a few more of these! This one’s a bit crumpled, sorry! 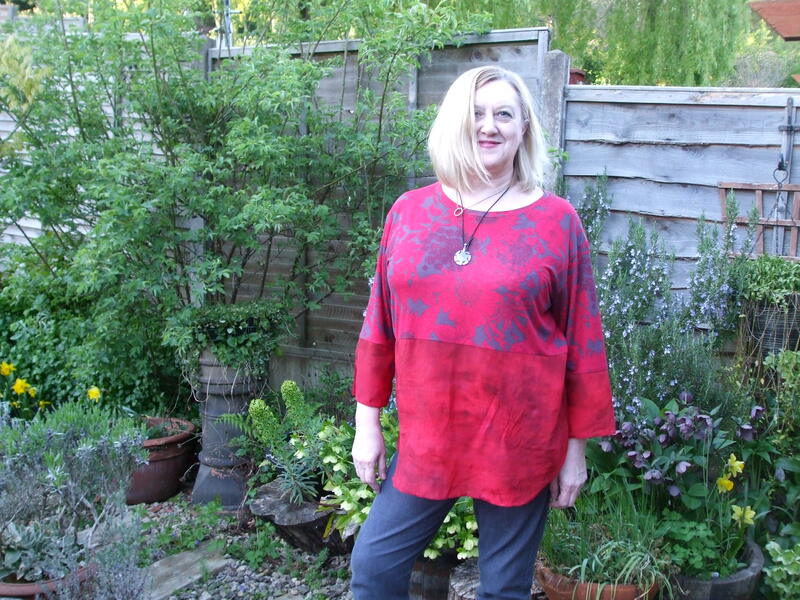 I wore the red one to the markets today, and got several compliments…and it’s very cool and comfy. Secret pyjamas! Once again looking good. Are these part of the marathon cutting session? For some reason I was surprised to see the purple top but although I like it I think I prefer the red/pink one. Nice to know that they are comfortable to wear. They’re both lovely. And very wearable. Spot on on size. Longer length justifies oversized, which is very “in” right now on our side of the pond. 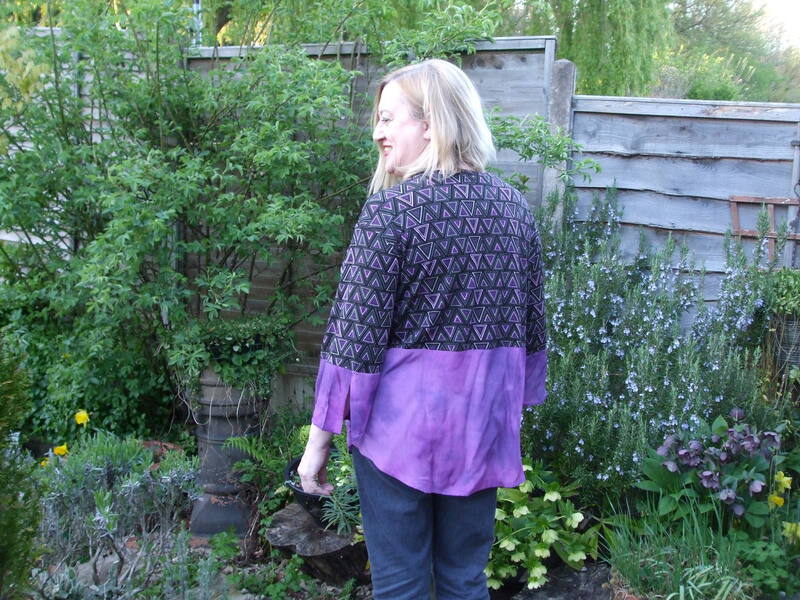 The cut, pattern and shape look fabulous on u. Inspiring me to make one! I love them both but the purple is my favourite. It really suits you and I wouldn’t put any darts in. Shape is great. Beautiful makes. The combinations of the fabrics and colours is fantastic. These are great, the style really suits you and the mixing of fabrics you’ve done is really lovely. I like the purple one best too on you. I wouldn’t add darts either, as others have commented. 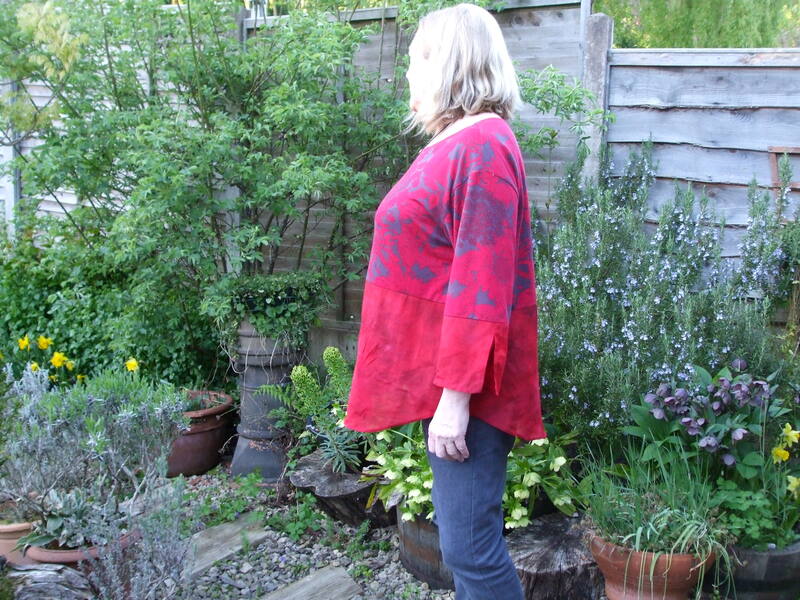 Style Arc do a lot of these baggy tops but sadly they don’t suit me (pear shape) but I really do love their drafting and 1cm seam allowances. I love your colour combinations. Leave the shape as-is is my vote. I was going to say it’s nice to have a great basic like that, but the lovely colours are anything but basic. It’s such a straightforward make, you don’t need detailed instructions. There are a couple of diagrams of the only bit that’s remotely tricky [the sleeve slit] so all is clear. The drafting on Style Arc patterns has to be experienced- it’s immaculate. Alrighty then. Challenge accepted, I’ve many pieces to make this year (and holy cow it’s mid-April already) I’ll find a nice Style Arc and give it a go! Yikes. I’ve never bought through Amazon, but used to get a lot direct from Oz, complete with freebies. Most recently, I’ve gone for the PDF versions, as I don’t mind the cutting and sticking. These are lovely as is. This is my favourite style of T shirt. Makes me think I can have dessert, if I want! I love the colours on both of them. Everyone needs t shirts so it’s nice to be able to pop off a few quickly! I love these tops, but wasn’t that red fabric supposed to be for the Vogue dress? Ah yes, these were just leftover bits- I didn’t want to waste it. the dress is in process, as it’s one of the ‘designer’ ones, with lots of faffy details, I’m taking it slowly for once. Shouldn’t take much longer though. In fact, that’s what I should be doing right now! Love them both but think the purple wins by a short head. I think they look fine just as they are – the front is lifting a tad but not enough to make farting about with a FBA worthwhile. I really like these and I’m wearing them a lot- that’s the test after all! I love both of these! I don’t own that Style Arc pattern but after seeing yours it is definitely entering my stash.